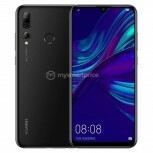 Two weeks ago, we heard of Huawei announcing the Enjoy 9S with a 6.21-inch display and triple rear cameras. Now some more specifications of the smartphone have surfaced along with its images revealing the design. 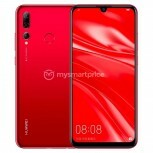 The pictures show us that the smartphone will come with a waterdrop notch display surrounded by small bezels on the top, left, and right side. The notch houses an 8MP selfie camera, while the screen has a resolution of 2340 x 1080 pixels. Round the back, the Enjoy 9S has a triple camera setup in vertical orientation below which is a text that reads "AI Camera". This setup consists of 24MP, 16MP, and 2MP units. The 16MP camera will come with a wide-angle lens, whereas the 2MP snapper will be likely used for depth sensing. The back is also home to a fingerprint scanner. According to the leaked specs, the Enjoy 9S will have Kirin 710 SoC under the hood which will be mated to 4GB RAM. The smartphone will run Android Pie-based EMUI 9.0 and have up to 128GB of storage onboard. 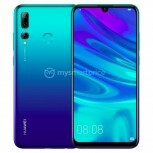 The Huawei Enjoy 9S will come in at least four colors, with one of them being a gradient. It will ship with a 3,400 mAh battery, but it's unclear whether it will charge through a microUSB port or USB-C. However, we do know that the USB port at the bottom will be accompanied by a 3.5 mm headphone jack on the left, with the speaker presumably on the right. 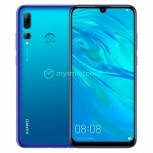 The Enjoy 9S will go official on March 25 at an event in China - just a day before Huawei announces its P30 lineup at an event in Paris. For up to 250 bucks nice phone othervise not so nice. Man not everybvody is willing to pay 1500 bucks for a phone which will be using for dialing messaging and brownsing facebook twitter whatsapp and viber. OMG please use brain before posting nonsense. "enjoy" our copies for sure.